Is Your Building's Exterior in Need of a Good Cleaning? Buildings are exposed to the elements and get dirty. Exterior cleaning is a part of good routine maintenance. Greenway Solution will revitalize and restore your structure to its original beauty. We provide the best service and technology known in the cleaning and restoration industry. Our commercial building exterior cleaning & restoration services include Low pressure washing of building exterior for removal of mold, mildew, oxidation, corrosion, carbon, rust, and grime with 100% biodegradable solutions. Our commercial building surface cleaning and restoration service is available for all structures. Here are just a few examples: Stadiums, Educational Institutions, Coliseums, Hotels, Warehouses, Office Buildings, Schools, Banks, Shopping Centers, Restaurants, Arenas, Towers, Churches, Retail Outlets, Airports, Factories, Court Houses, Libraries, Apartment Complexes, Monuments, Schools, Hospitals, and Statue Cleaning. For more information on Greenway solution services please contact us. A: Long story short, soap scum. Surprisingly, the industry standard for window cleaning causes staining on a building's exterior. The culprit is dish soap and tap water. Dish soap consists mostly of an oily petroleum which attracts contaminants in the environment and "glues" them to all exterior building surfaces. What Happens Next? 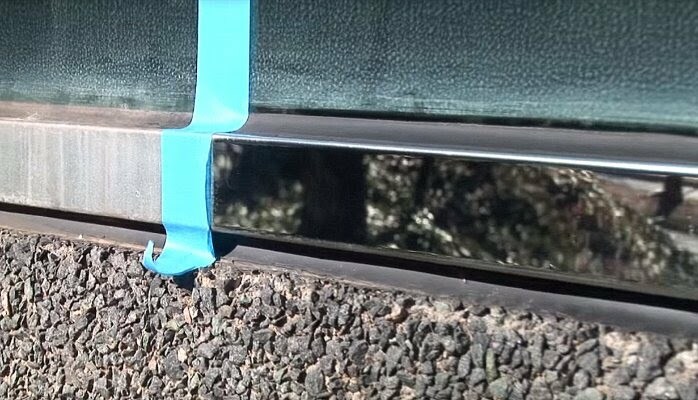 When windows are cleaned using dish soap and tap water, this soapy mixture is scrubbed onto the glass then squeegeed off onto the metal frames and stone surfaces below along with the dirt. This dirty mixture then dries and the next time it rains, it redissolves and further washes down the building and onto your clean glass! Fortunately, there is a solution. 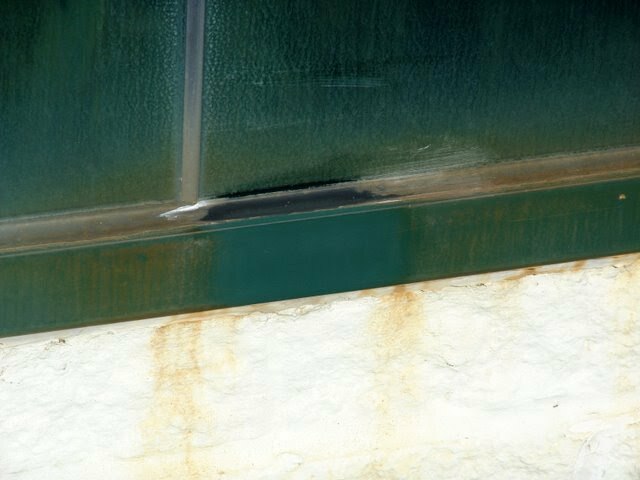 Greenway Solution Metal Restoration service removes what is commonly referred to as stage 1 corrosion as well as stains caused by mineral deposits, including calcium, lime, magnesium, rust, salts, efflorescence, high mineral content tap or well water. Our service also removes damage caused by soap scum, oils, acid rain, adhesive stains, water repellant overspray and/or leaching, caulking or coating residue, exhaust fumes, everyday grime and buildup and other stubborn stains from architectural surfaces.